It’s so nice to be able to run a hot bath and relax when you have a headache. The hot water can be soothing and can certainly help provide some relief. However, if you want to really set yourself up for maximum relief, why not add a soothing headache bath bomb? 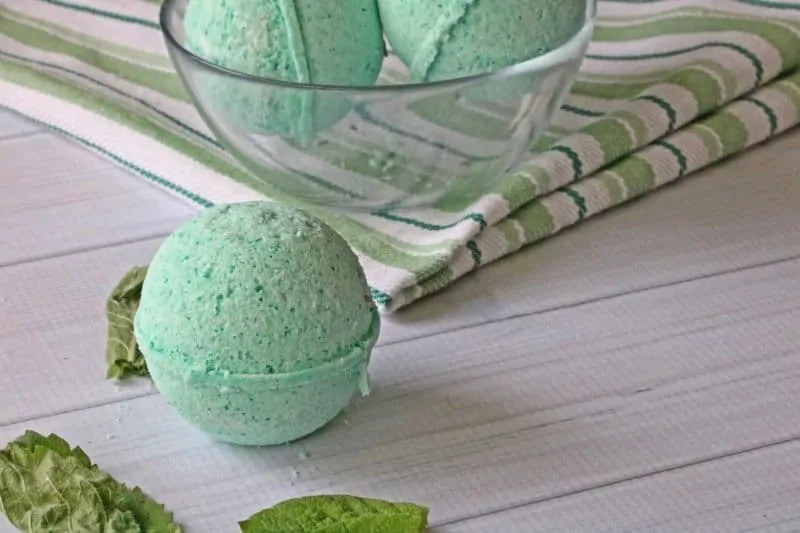 These DIY bath bombs are made with essential oils to help soothe and provide relief. Of course, you can purchase headache bath bombs in some specialty stores. But, you can also make them right at home for far less money. 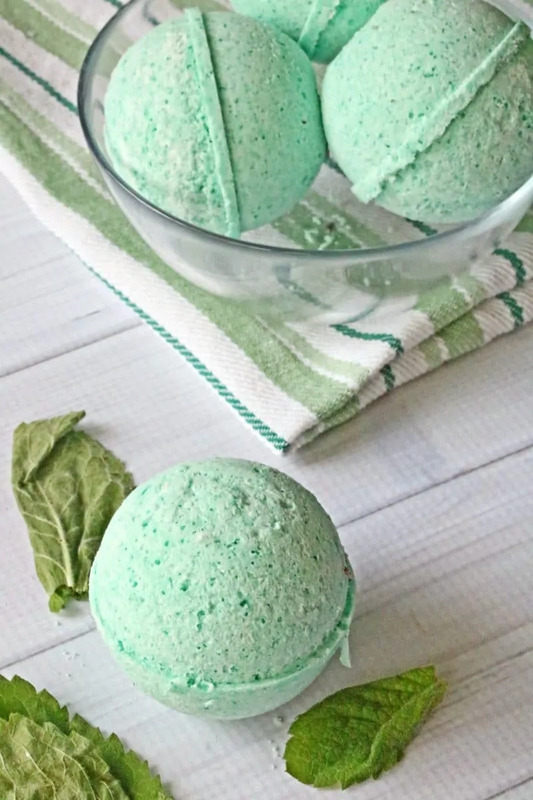 Best of all, when you make these essential oil headache bath bombs at home, you know exactly what’s in them. 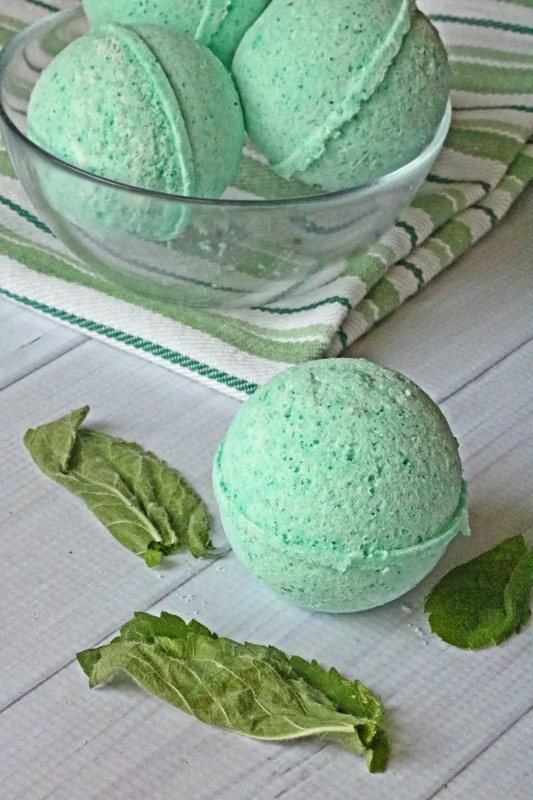 Essential oil bath bombs are easier to make than you might have thought. 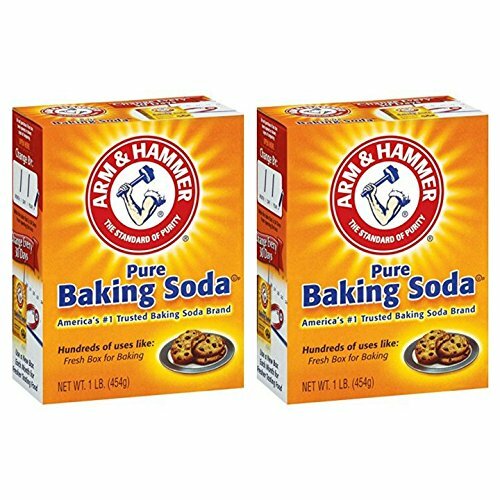 You can find almost everything you need in most big box stores. You can also play around with the ingredients to create something that helps whatever symptoms you’re having. 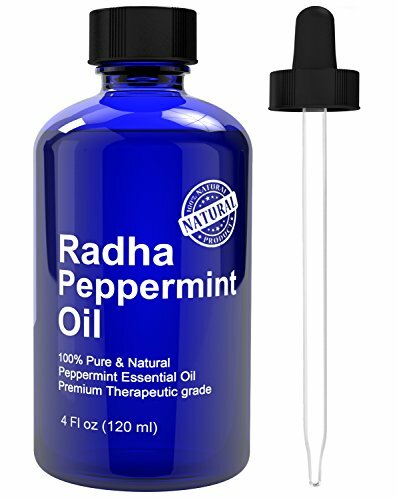 Spend a bit of time learning about essential oils so you know which ones to add. 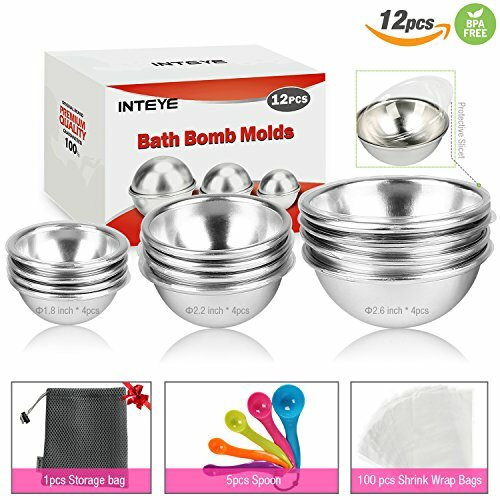 These headache bath bombs are not only great for your own baths, but would make a wonderful gift. What girlfriend wouldn’t love getting a bath bomb to help with her relax and soothe away tension and headaches? 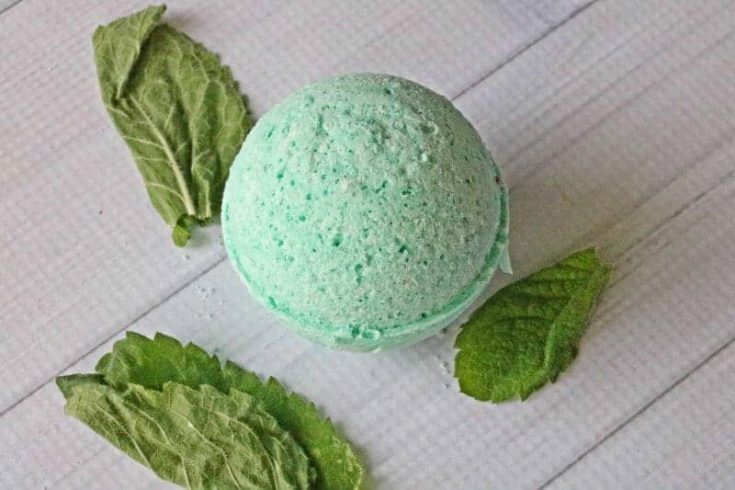 You can place several of these bath bombs in a gift bag or add them to a gift basket that has a relaxation theme. 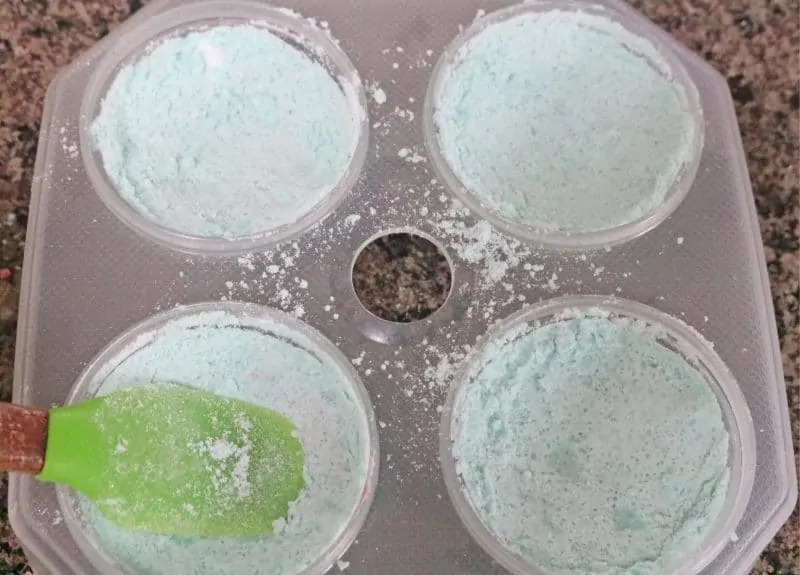 You could even use a press like we did with these moon cake press bath bombs to give them a floral look. Either way, these headache bath bombs will be a big hit. 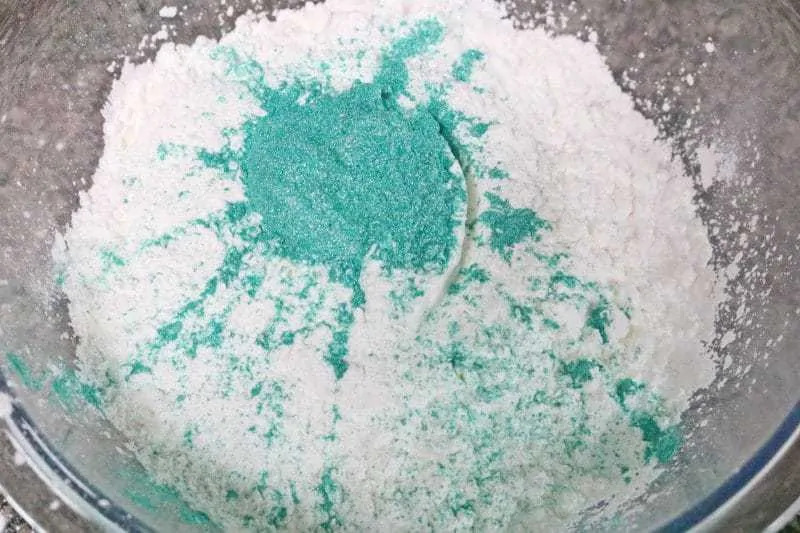 This recipe will make 4 large bath bombs or 9 small bath bombs. 1. 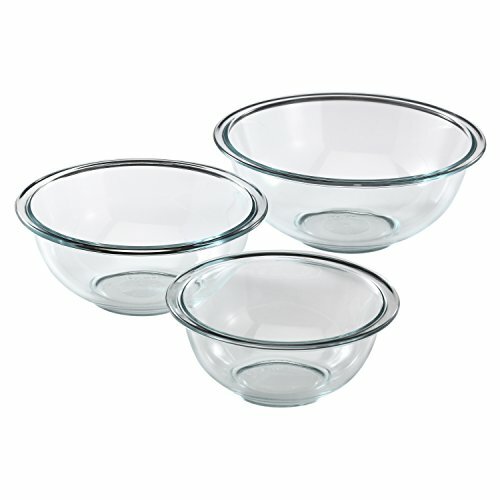 In a large glass mixing bowl, combine all dry ingredients and mix well, making sure that there are no clumps. 2. In a small glass bowl, combine the almond oil, essential oils and witch hazel. Whisk until combined. 3. Pour the liquid mixture into the large bowl with the dry ingredients. 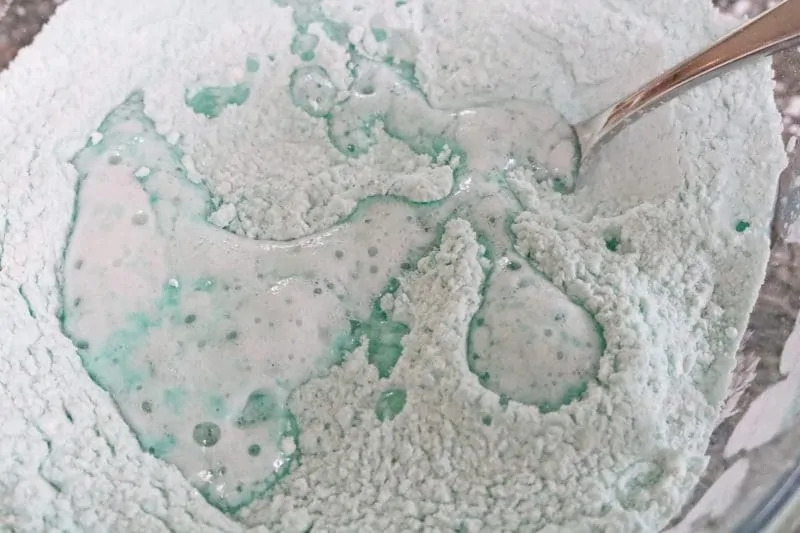 You will see it begin to fizz when the liquid mixture touches the dry ingredients. 4. Mix using a fork, or your hands, until the mixture is well combined and somewhat moist. 5. 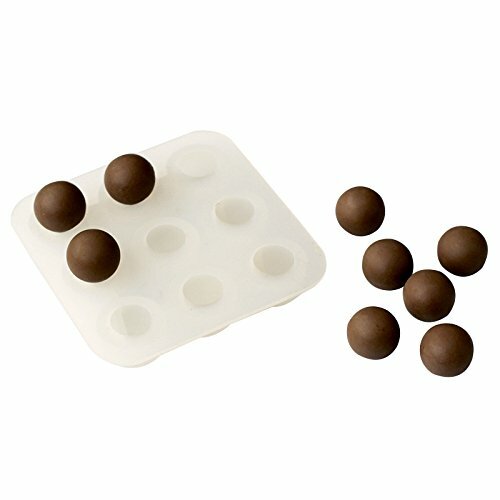 Prep your molds and use a spoon to fill the molds halfway. Using a silicone spatula, press the mixture into the molds firmly. Spray each mold with a small bit of water (one spray) and press down again to make sure they're firm. Be careful here – using too much water will cause the bombs to lose their fizz. And if you don't press down firmly, the bombs will not hold together. 6. Divide the rest of the mixture into the molds and again press down firmly. Spray the top with water and press down again. 7. Close the molds. Let set for 24 hours before removing from molds. 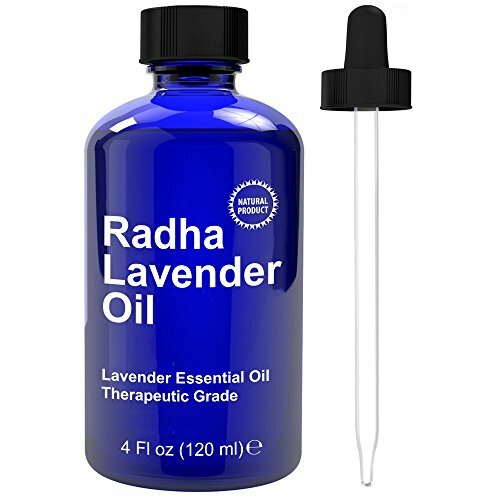 Do you have any great natural headache remedies that you use for headache relief? If so, let us hear 'em in the comments below! Get headache relief naturally with a nice hot bath and a homemade headache bath bomb fill with soothing essential oils. 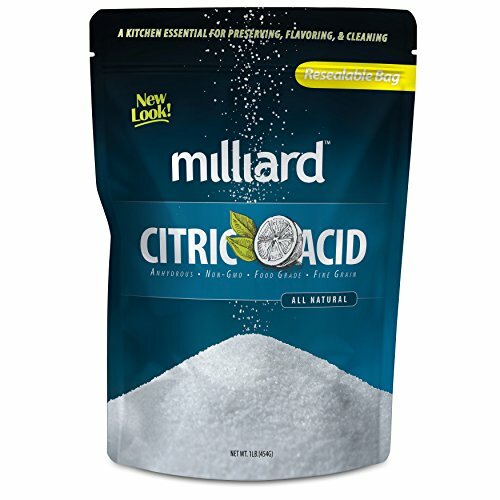 In a large glass mixing bowl, combine all the dry ingredients and mix well, ensuring that there aren't any clumps. In a small glass bowl, combine the almond oil, lavender essential oil, peppermint essential oil, and witch hazel and mix well. Pour the liquid mixture into the large bowl with the dry ingredients. Using a fork or your hands, mix until the mixture is well combined and somewhat moist. Use a spoon to fill the mold halfway. 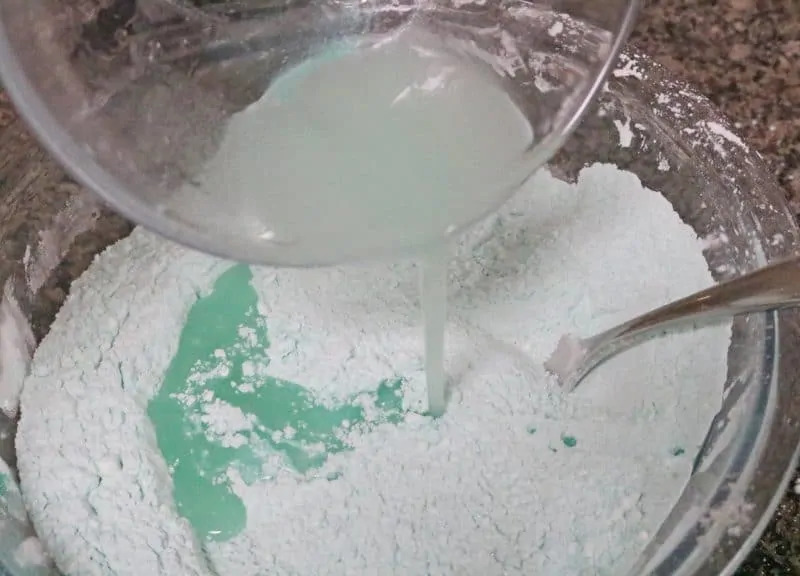 Use a silicone spatula to press the mixture down firmly. 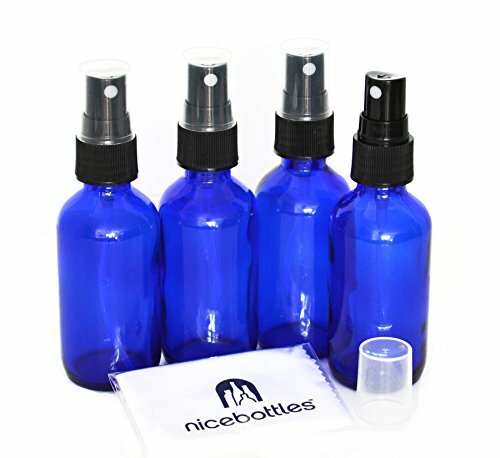 Spray each mold with a small bit of water (one spray) and press down again to make sure that they are as firmly packed as possible. Then, fill the mold the rest of the way and press down firmly, spraying again with water and packing it down as firmly as possible. 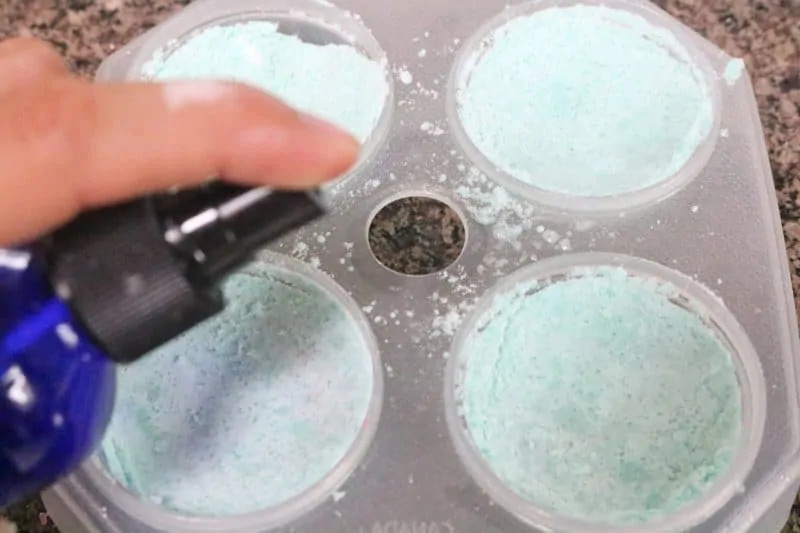 Close the mold and allow to set for 24 hours before carefully opening and removing bath bombs from mold. 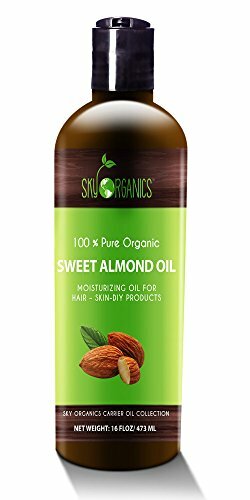 Use caution when standing up and getting out of the bath, as the mica powder and the almond oil leaves the bath a bit slippery! These are really nice. I could use them right now! They are really pretty, too, and would make nice gifts. Great idea for a healthy remedy for headaches! I love that you also included the links for the products and ingredients needed to make these bath bombs. I’d definitely make these for myself and also make to give as gifts. Thanks for sharing this. Pinning for later! Love this DIY idea, thank you for sharing!! I am going to make these with my 4 uear old. She is obsessed with bath bombs! Oh wow I want to make these. 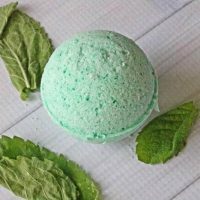 I love bath bombs and always wondered how to make them! 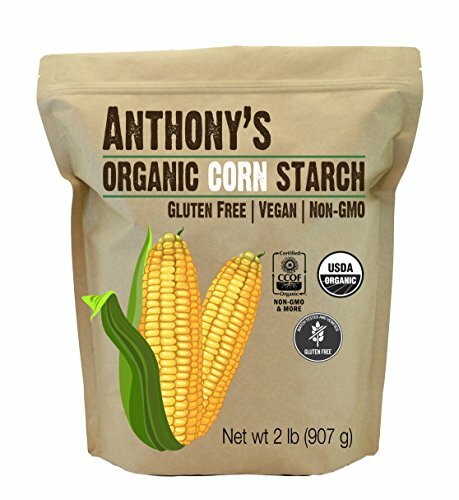 Can I substitute coconut oil for the almond oil? Looking forward to giving this a try! Thank you! 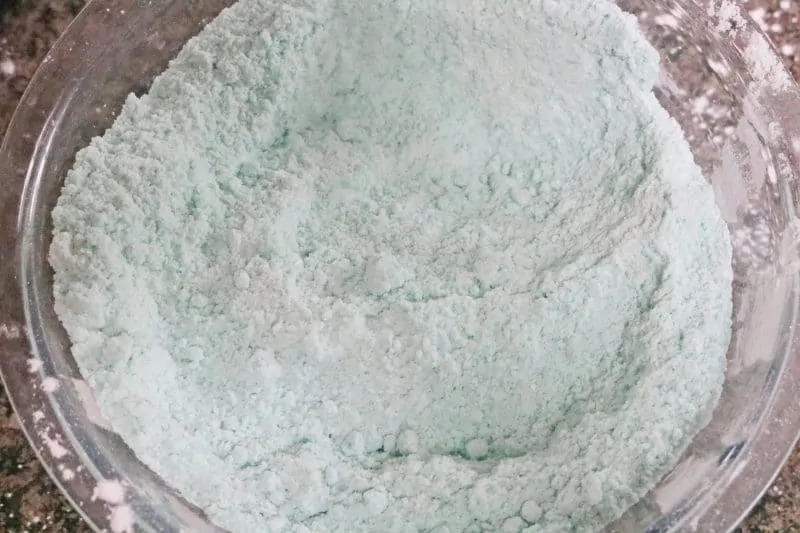 Do I absolutely have to have mica powder? I’m not sure where to buy that. 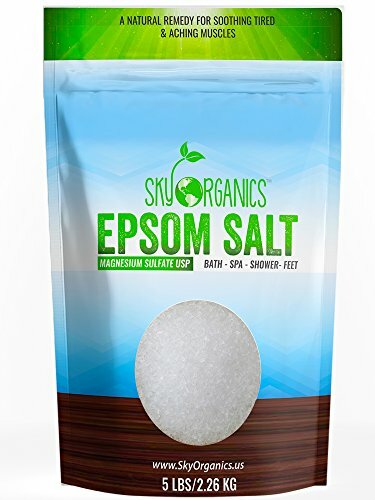 You can order it on Amazon – but no you don’t absolutely need to use it – it just gives the bath bombs their color. 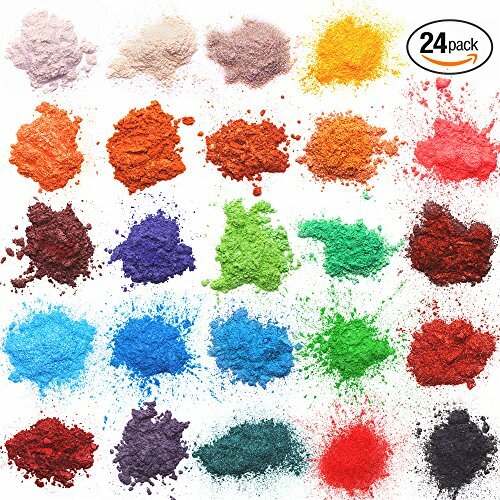 Does the mica powder need to be used?